Here is the Shadow of the Tomb Raider parody trailer. The trailer has a “not actual gameplay” tag, to avoid any confusion. It features a dramatic, minimalist soundtrack and is interspersed with action shots of a heroic dog and villainous cats. The Lara Croft dog drops a ball of yarn to distract one cat, then uses a laser pointer to get another cat’s attention. The latter is a lighthearted twist on what a red dotted light would normally signify in a Tomb Raider game. All of this is done in the name of saving a puppy captured by the lead villain, a Sphynx cat, from being shaved. At the climax, this dog encounters its enemy and turns on a circular automatic vacuum (labeled as Toomba) to distract the Sphynx cat. 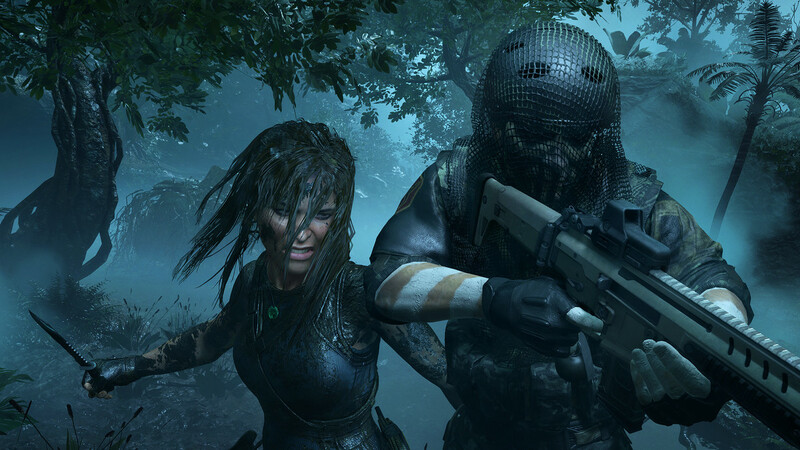 For more on actual Shadow of the Tomb Raider be sure to check out our hands-on preview. Shadow of the Tomb Raider will be available on September 14, 2018 for the PlayStation 4, Xbox One, and PC. If you preorder the Digital Deluxe, Digital Croft or Croft Editions, you’ll get the game two days early. Are you amused or confused by this trailer? Let us know in the comments below.